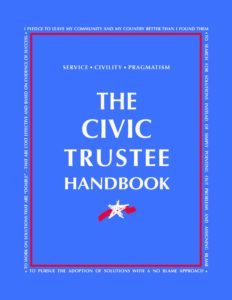 Please use The Civic Trustee Handbook, which is laid out in a basic, easy-to-use Q & A format, to learn more about becoming a Civic Trustee or creating a Civic Trust in your community. The Newark Civic Trust meets every 2nd Wednesday of the month, except in the months of August and December, at West Side High School located at 401 South Orange Ave., Newark, NJ. Learn more about the Newark Civic Trust: Watch a short video; Contact Joel@thecitizenscampaign.org; or Apply today! The Trenton Civic Trust meets every 4th Tuesday of the month, except in the months of August and December, at Trinity Episcopal Cathedral, located at 801 West State St., Trenton, NJ. Learn more about the Trenton Civic Trust: Watch a short video; Contact Joel@thecitizenscampaign.org; or Apply today! The Perth Amboy Civic Trust meets every 3rd Wednesday of the month, except the months of August and December, at the Alexander Jankowski Community Center located at 1 Olive St., Perth Amboy, NJ. Learn more about the Perth Amboy Civic Trust: Watch a short video; Contact Joel@thecitizenscampaign.org; or Apply today! The Plainfield Civic Trust meets every 1st Wednesday of the month, except the months of August and December, at the United Presbyterian Church located at 525 E Front St., Plainfield, NJ. Philadelphia Civic Trust meetings take place every 4th Wednesday of the month, except in the months of August and December. 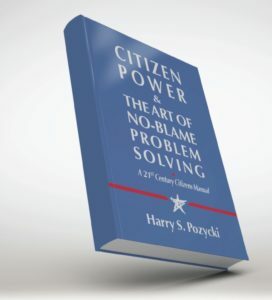 You can train to become a Civic Trustee in your community by watching the 10 short videos that make up the core of Online Power Civics and use the accompanying text for a more complete learning experience.